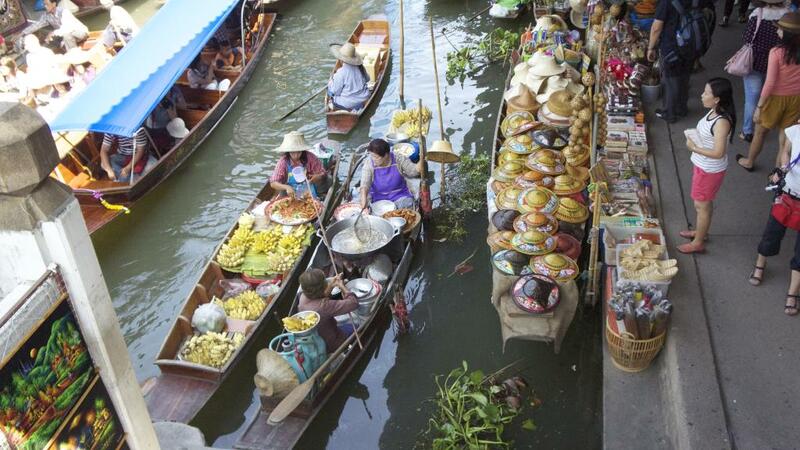 The River Kwai & Damnoen Saduak tour is a must-do on your Bangkok holiday itinerary. 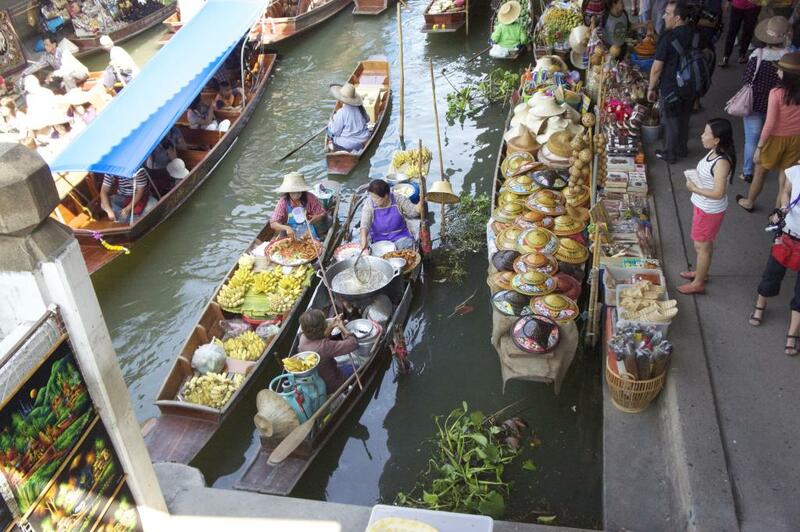 After being picked up from your Bangkok hotel travel by boat to the floating market at Damnoen Saduak where the colours, sights and sounds leave lasting memories. 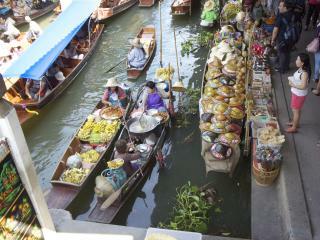 Experience the many wooden boats combing up and down the river with their overflowing produce, selling to the people on the land. 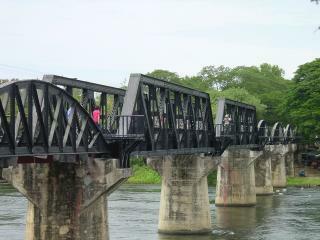 The tour then moves on to visit the famous Bridge over the River Kwai, built by the prisoners of war in World War II. Relive the moving history as you cross the bridge and learn of the prisoner's struggles. Visit the War museum and WWII cemetery of the Allied soldiers who perished during the construction of the railway. 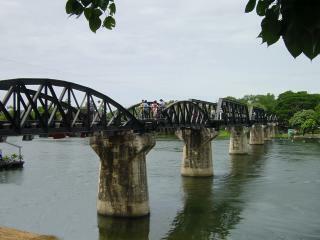 The River Kwai & Damnoen Saduak tour is informative and moving, combining Thai and Australian history in the one day.